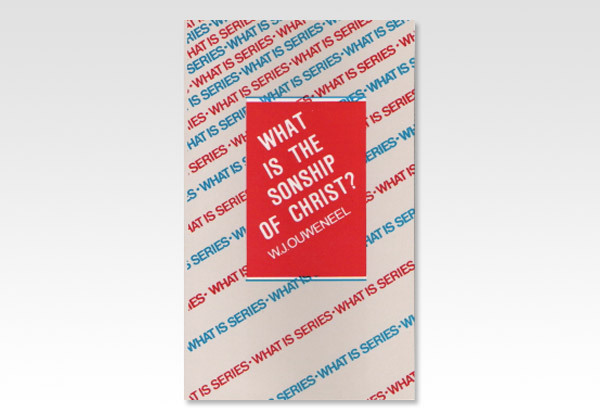 Believers Bookshelf - What is the Sonship of Christ? To many people the title of this work may seem of little relevance to the problems of our times. However, it establishes the importance of what Christians believe regarding the Person of Christ. On the one hand, the continued growth of false cults warns us that many are deceived because they do not have a clear perception of what the Bible teaches regarding Christ's Sonship. This book should help keep Christians from being lead astray in such directions. On the other hand, there is the tragedy of believers who from the beginning of the Church until the present time, have seen themselves as an elite, possessing superior knowledge and unique insights. The resulting pride often blinds them to error regarding the Person of Christ, and opens the door to many sad consequences. This study should keep us all humble and on track in our understanding of the Sonship of Christ.